So just when I was talking about almond blossom and Spring is in the air, the wind came and it feels like winter. But that is all fine by me since it made me make this delicious soup that keeps me warm and cozy. Toss the veggies into a big pot with a bit of olive oil and place it over medium heat. Add the cayenne and cook the vegetables for a few minutes before adding the stock. Turn the heat up and bring to boil. Then turn the heat back down and let the soup simmer for 30 minutes. 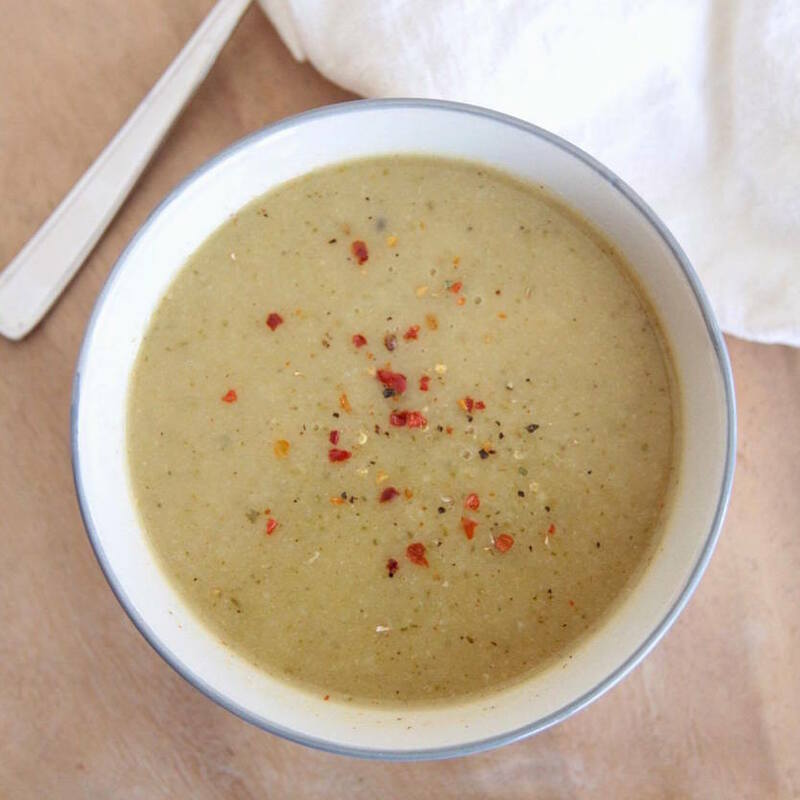 Pour the soup into a food processor or use a hand blender for blending everything into a smooth mixture. Finish of by adding the coconut milk. Stir it well and you will have a yummy creamy soup. If you find it to thick then add a bit more milk or stock.